Are you tired of eating to wrong foods to lower your cholesterol? Here are the food to lower cholesterol that you should start eating right away. 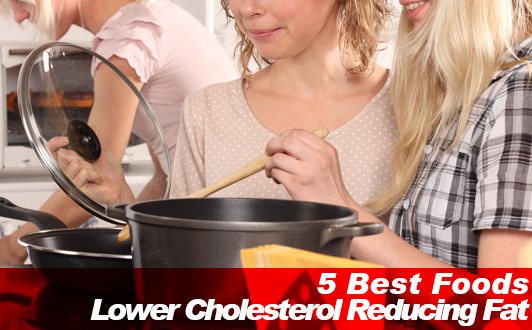 What are the top 5 foods to lower your cholesterol naturally? - In addition to the neutral fat reducing effects of foods like raw octopus, tofu, and ground sesames you will find out soon there is much more on the table. Get on top of your diet lowering your cholesterol level eating right. In order to reduce neutral fat in your diet to lower your cholesterol there are 3 things you need to keep in mind to make it happen. Stay away from foods high in neutral fat that will raise your cholesterol. By incorporating the best foods to lower cholesterol you can effectively reduce neutral fat in your diet. The following foods help you lower cholesterol by cutting back on neutral fat naturally. For people with high levels of neutral fat or just people worried about their body fat, eating these food are just what your diet needs. Eating octopus gives you taurine said to help reduce neutral fats naturally. However, the amount of taurine reduces by as much as 30 percent when exposed to heat because it is water soluble. Simply by boiling octopus in cooking preparation causes the taurine content to drop close to half of that of raw octopus such as that eaten when you go out and eat sushi. Taurine in octopus isn't the only thing that you will find in these eight legged creature. In addition to taurine, octopus is said to be a rich source of eicosapentaenoic acid (EPA) to help lower your cholesterol level. Note that eating other sea food such as squid and shrimp are also great natural source of taurine and EPA to help lower cholesterol. In every healthy serving of tofu there are soy saponins that are said to reduce neutral fat. Soy saponin is also said to block the absorption of cholesterol in your diet that help you get healthy blood categorized by ample amount of space between red blood cells in your blood. Tofu isn't the only source for soy saponin. While tofu may already be on your grocery list, other soy products such as soy milk and natto serve as excellent ways to get soy saponin in your diet naturally giving you more than on way to reduce neutral fat in your diet eating healthy. Pacific saury contains an exceptional amount of unsaturated fatty acids such as DHA and EPA said to help reduce neutral fat and lower bad cholesterol while raising good cholesterol levels in your blood. Alpha linoleic acid in pacific saury serves as an allergy preventative agent. Pacific saury also has Arachidonic acid said to boost brain performance, something you or maybe your kids may need with a test right around the corner. 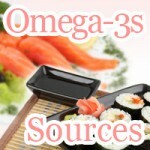 Other great natural sources of DHA and EPA include sardines and Japanese amberjack. Apples in addition to being a great source of dietary fiber are rich in polyphenols said to be the secret for anti-aging. That's not all! - Eating apples is said to slow down the increase of neutral fat before and after eating, which may indicate that eating a apple before a meal may just what you need to start lowering cholesterol. Apple polyphenols lower cholesterol and your body fat. They are also said to be great in preventing lifestyle disease. Polyphenols found in apple is said to inhibit the synthesis of melanocyte in your body helping to keep your skin looking younger and wrinkles off your face for antiaging and skin that scream out natural beauty. Sesame seeds give you the antioxidant sesamin said to help your body burn fat faster while inhibiting the creation of neutral fat. Sesamin has the power to lower your blood pressure and process more alcohol allowing you do drink more without getting drunk or just get over a hangover. The best way to get sesamin in your body is not by eating raw sesame seeds but by eating ground sesame seeds. In addition to giving you sesamin, sesame seeds also serve as an excellent source of essential nutrition such as linoleic acid, oleic acid, iron, and calcium. As there are foods to lower your cholesterol, there are foods that can potential raise your cholesterol increase the neutral fat in your body that should be avoided. Here is what you should stay away with when trying to reduce cholesterol. What cholesterol and neutral fats like triglycerides have in common is that not only do they stand in the way of your diet but also put constraints on your ability to dream big when it comes to your lifelong health perspective. 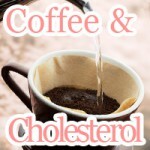 What factors in coffee making drinking coffee dangerous to your cholesterol levels? Drip coffee may not have it but boiled coffee such as French press does.